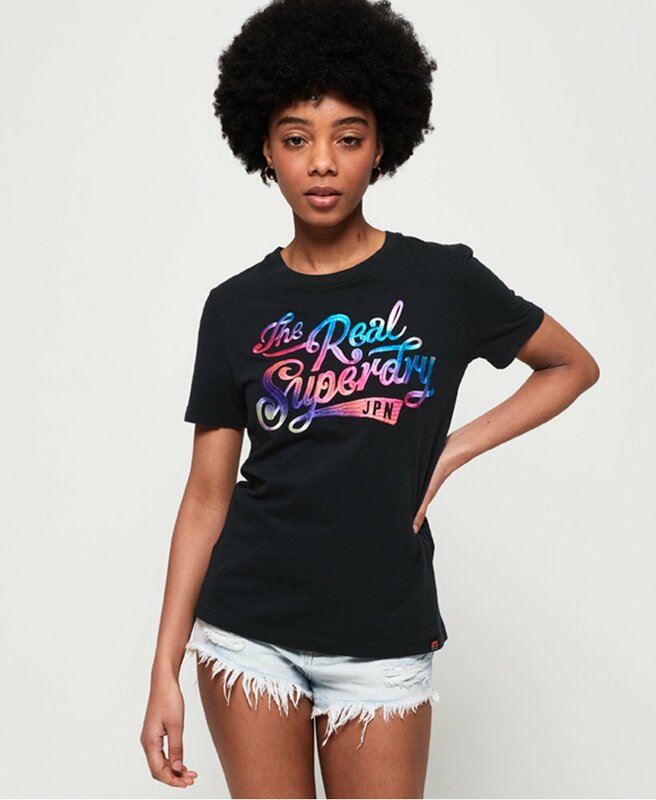 Superdry women's The Real Festival embroidery t-shirt. This classic style t-shirt features a crew neckline, short sleeves and a large embroidered Superdry logo across the chest. Finished with a Superdry logo tab on the hem. Will look great with your favourite pair of jeans or shorts this season.